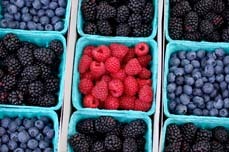 What pigments are in fruit and flowers? 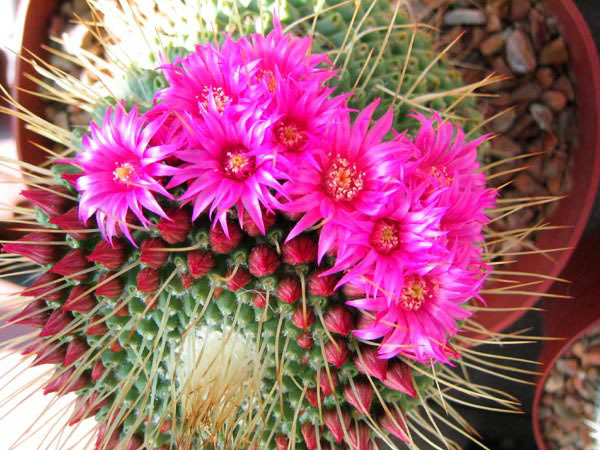 Pigments are responsible for many of the beautiful colors we see in the plant world. Dyes have often been made from both animal sources and plant extracts . Some of the pigments found in animals have also recently been found in plants. Bilirubin is responsible for the yellow color seen in jaundice sufferers and bruises, and is created when hemoglobin (the pigment that makes blood red) is broken down. 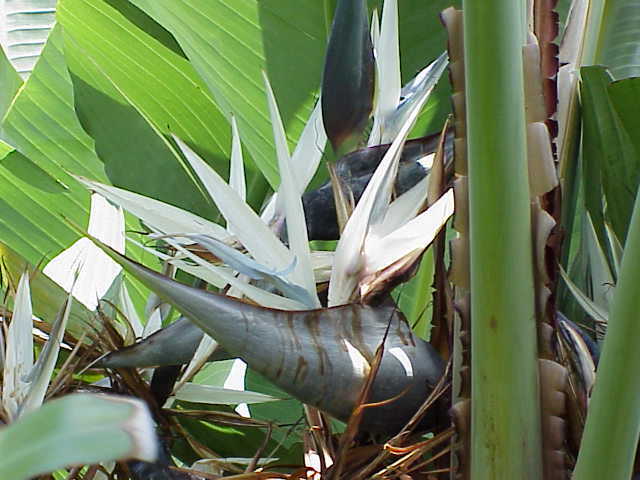 Recently this pigment has also been found in plants, specifically in the orange fuzz on seeds of the white Bird of Paradise tree. The bilirubin in plants doesn’t come from breaking down hemoglobin. (In animals hemoglobin is broken down to heme, and then converted to bilirubin.) Chlorophyll molecules have similar ring structures to those of heme, and it appears that breaking down chlorophyll can also yield bilirubin - or almost; the breakdown products require just one more step to produce bilirubin. It is fascinating to realize that the process of degradation starts the same way in plants as it does in our own bodies. Chlorophyll is green, and is responsible for the green color of foliage and leaves. More importantly, by enabling plants to produce oxygen during photosynthesis, it is critical to sustaining our life on earth. Chlorophyll has structural features similar to heme. Bilirubin, which produces a yellow color, has recently been found in plants. Red, orange, and yellow plants, as well as other organisms, generally rely on carotenoids for their vivid colors. Carotene is a pigment that absorbs blue and indigo light, and that provides rich yellows and oranges. The distinctive colors of mango, carrots, fall leaves, and yams are due to various forms of carotene, as is the yellow of butter and other animal fats. 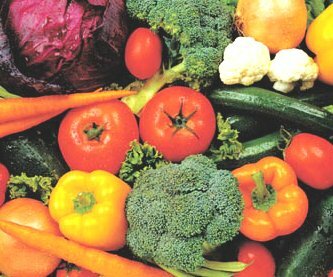 This pigment is important to our diet, as the human body breaks down each carotene molecule to produce two vitamin A molecules. Lycopene, canthaxanthin, and astaxanthin share a similar structure to carotene. The red tones of tomatoes, guava, red grapefruit, papaya, rosehips, and watermelon indicate the presence of lycopene. Canthaxanthin produces the pink colors of flamingos, some crustaceans, salmon, and trout. In its synthetic form, it is used to ensure captive flamingos retain their coloring, as a red food colorant, and even as a tanning aid. Astaxanthin provides the red colors of cooked salmon, red bream, trout, lobster, and shellfish. In a live animal, astaxanthin is combined with a protein and is blackish in color. When boiled, the protein breaks down to unmask the true “lobster red” of astaxanthin. Flavonoids are the yellow plant pigments seen most notably in lemons, oranges, and grapefruit. 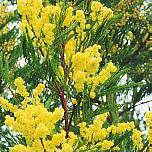 The name stems from the Latin word "flavus," which means yellow. Flavonoids in flowers and fruit provide visual cues for animal pollinators and seed dispersers to locate their targets. Flavonoids are located in the cytoplasm and plastids. Many of the foods that we eat, including dark chocolate, strawberries, blueberries, cinnamon, pecans, walnuts, grapes, and cabbage, contain flavonoids. These chemicals lower cholesterol levels, and many have antioxidant properties. Anthocyanins and proanthocyanidins, and the reddish-brown pigment theaflavin found in tea, act to create color, while most other flavonoids are visible only under UV light. Flavonoids include red, purple, or blue anthocyanins, as well as white or pale yellow compounds such as rutin, quercetin, and kaempferol. 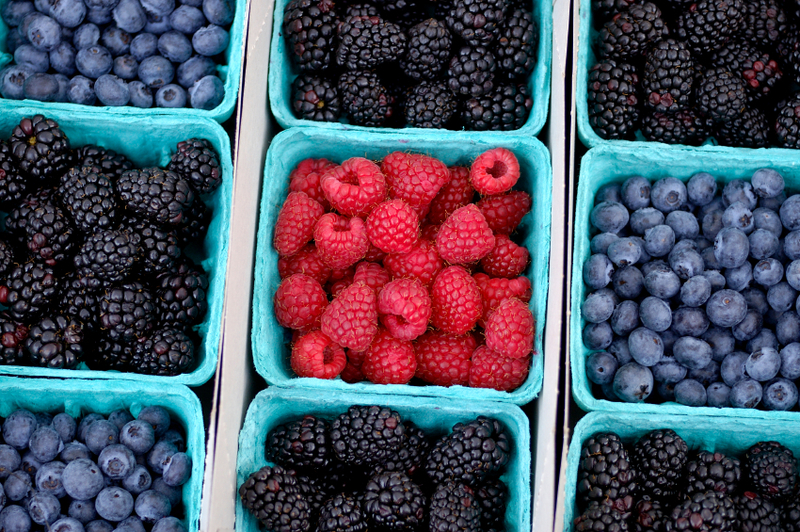 Anthocyanins play a role in the colors of ripening fruit. They are found in most other plant parts and in most genera. Anthocyanin pigments take their color from the range of red, purple, or blue, depending on their pH. Blueberries, cranberries, and bilberries are rich in anthocyanins, as are the berries of the Rubus genus (including black raspberry, red raspberry and blackberry), blackcurrants, cherries, eggplant peel, black rice, Concord and muscadine grapes, red cabbage, and violet petals. Anthocyanins are partly responsible for the red and purple colors of some olives. Proanthocyanidins are linked to the beige color of the broad bean seed coat, and also to shades of black, red, brown, and tan. Apples, pine bark, cinnamon, grape seed, cocoa, grape skin, and the grapes used to make most red wines all contain proanthcyanidin. 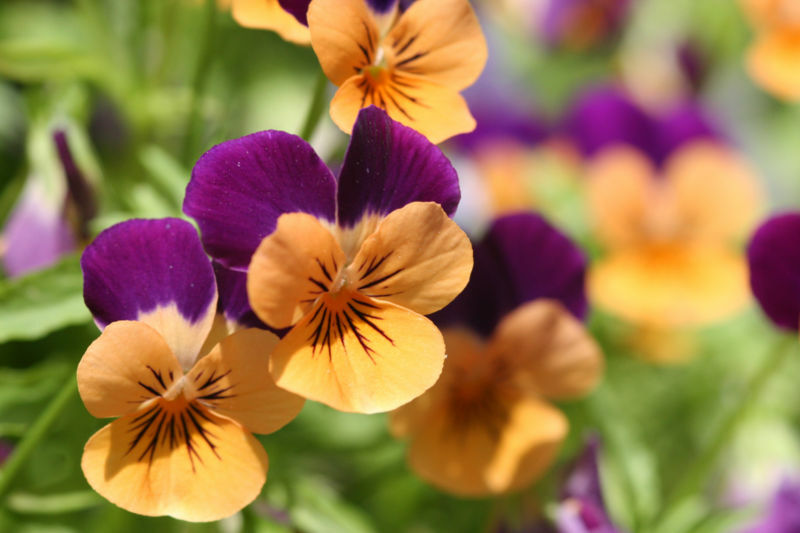 The yellow colors of flavonoid pigments can be found as chalcones (found in flowers and the organs of plants), aurones (found in flowers and some bark, wood, or leaves) and flavonols. Like carotenoids and flavonoids, betalains also seem to play an important role in attracting animals to flowers and fruit, and produce a similar range of colors. 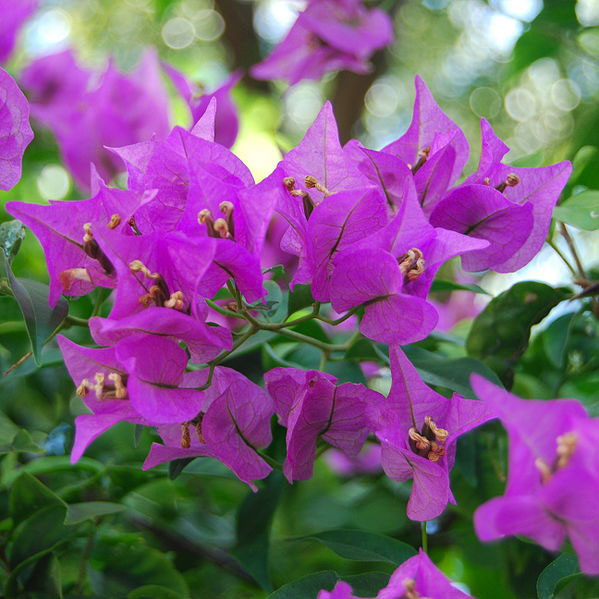 The betalains consist of two sub-groups, red-violet (betacyanin) and yellow to orange (betaxanthin) pigments. 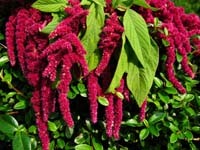 They only occur in a few plant families, and always independently of anthocyanins. Betacyanins are established food colorants. Betalains give rise to the distinctive deep red of beetroot. The composition of different betalain pigments can vary, giving rise to breeds of beetroot that are yellow or other colors, in addition to the familiar deep red. The betalains in beets include betanin, isobetanin, probetanin, and neobetanin (the red to violet ones are known collectively as betacyanin). Other pigments contained in beet are indicaxanthin and vulgaxanthins (yellow to orange pigments known as betaxanthins). 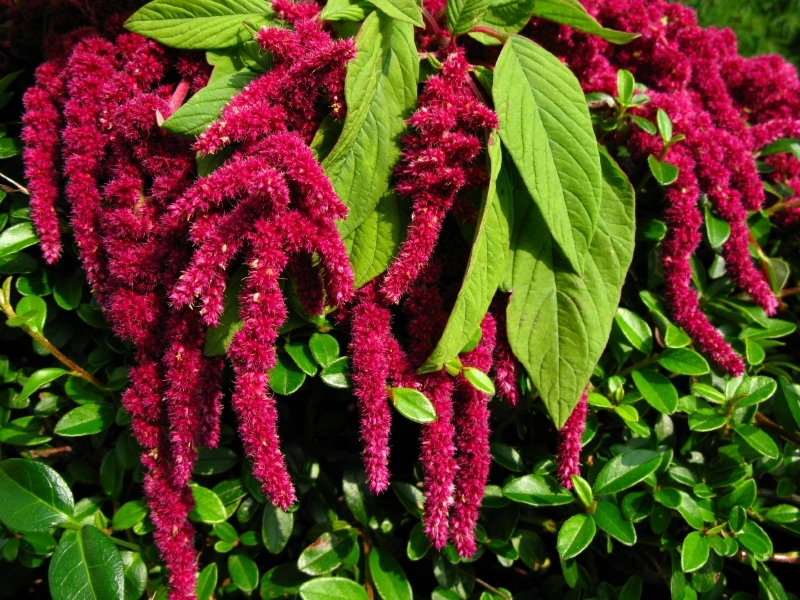 Betalains cause the crimson of Amaranthus flowers (class of Caryophylalles). Interestingly, betalains are only found in one sub-group of flowering plants (Caryophylalles or Centrospermae). 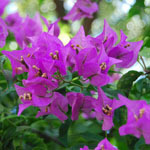 Bougainvillea, certain cacti, and amaranth are all examples of this family. These plants lost, or never acquired, genes for the synthesis of other plant pigments. Genes for the synthesis of betalains appear in unrelated fungi (such as Amanita muscaria) as violet and yellow pigments. Betalains are close in structure and in their synthesis to the animal pigment group melanins, and to eulamelanins in particular.